Serena Williams Indian Wells boycott: Serena’s return to the BNP Paribas Open was righteous but so was her and Venus’ boycott. Serena Williams’ decision to return to Indian Wells was inspiring, magnanimous, and totally unnecessary. Serena Williams at Indian Wells in 2001 and making her return in 2015. Photo illustration by Slate. Photos by Adam Pretty/Getty Images, Matthew Stockman/Getty Images. INDIAN WELLS, California—Fourteen years ago, the boos grew louder when she hugged her father and sister. The pigtailed teenager had just won the biggest tournament in her home state, but the anger in the stands only swelled. Serena Williams was just 19 when she won the Indian Wells final in 2001, in front of perhaps the most hostile crowd in tennis history. The loudest boos from the predominantly white crowd were reserved for Williams’ father, Richard, and sister, Venus, as they walked down the stairs to their courtside seats at the beginning of the match. Venus had withdrawn from her semifinal match against Serena two days earlier, citing knee tendinitis, and the withdrawal was announced only minutes before the match had been scheduled to start. Still rattled by the Williams family’s unexpected, unrelenting, and unapologetic arrival into the stilted world of tennis from their home of Compton—just a two hour drive from Indian Wells but practically a different universe from the extremely white desert enclave of wealth—some fans and media suspected that the withdrawal had been orchestrated by Richard, who had been previously accused in tabloids of fixing matches between his two daughters. Some other players also indulged in that speculation, especially after losing to one of the sisters. Williams remained resolute throughout the verbal assault, coming back from an early deficit to beat a 17-year-old Kim Clijsters and claim the title. After striking a final forehand winner on match point, she raised her arms in triumph, standing tall like a tree that had weathered a hurricane, and then twirled and waved to the crowd, which continued to voice its displeasure. Neither she nor Venus would return to Indian Wells the next year, nor in the years after. Even as the facilities, prestige, and prize money of the tournament grew astronomically, solidifying the event’s status as the biggest and best tennis tournament outside of the four Grand Slams, the sisters remained firm in their boycott. This year, Serena announced in an essay in Time that she would return to play at Indian Wells for the first time since that 2001 final. Black and white voices alike praised Williams for her decision; indeed, it was an undeniably eloquent, magnanimous, and inspiring one. It was also completely unnecessary. It is fair to say that Williams’ decision reflects an evolution, but to say that she is doing the “right thing”—as Williams herself has suggested—implies that maintaining the boycott was somehow incorrect. It was not, and her decision to return does not make the initial decision to boycott any less honorable. What exactly was said to the Williams family has been treated as a matter of dispute, but it doesn’t matter how many racial slurs were actually uttered that day. It was an environment the family felt was racially hostile, and their emotional truth and scars count as much as anything when it comes to their decision-making. In conjunction with her return, Williams has partnered with the Equal Justice Initiative, which works to help black Americans through the machinery of the legal system. Its founder, Bryan Stevenson, drew parallels between his work and Williams’ experience in a recent interview with the website Tennis Panorama. 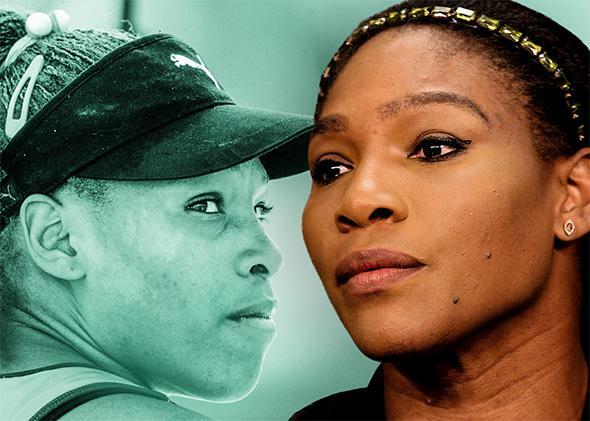 In an era of professional (and collegiate) sports where money has been chosen over principles time and time again, the boycott that the Williams sisters maintained for more than a decade was one of sport’s most admirable demonstrations of conviction over compensation. By staying away, the two sacrificed thousands of potential ranking points and millions of dollars in possible prize money, appearance fees, and bonus pool earnings. Despite those forfeitures, the Williams sisters have prospered without Indian Wells, winning 23 Grand Slam singles titles since the boycott began. And indeed, it is only Serena stepping back into the desert this year while Venus continues to stay away. Writing for NBC Sports, Douglas Robson called Williams’ split from the lockstep family line “the ultimate act of individuation.” This departure fits their more divergent recent trajectories. Venus has developed as the more steadfast of the two, emerging as a leader for all women on the tour with her advocacy for equality with men in a sport where a pay gap still exists despite tennis’ groundbreaking equal pay efforts at the majors. She has also been more fiercely protective of her family and its legacy as pioneers, reportedly voicing greater umbrage than her sister at a 2012 documentary that included a segment on Richard’s out-of-wedlock children. In the wake of blowups at the U.S. Open in 2009 and 2011, meanwhile, Serena has been more focused on trying to smooth over her image in recent years. The previously pricklier Serena has been more open and playful, even striking up friendships with other top players. She has also relied on her family support system less as she has gotten older, handing over the coaching reins from her parents to Frenchman Patrick Mouratoglou. Speaking to me at Indian Wells, Mouratoglou said that he had encouraged Williams to return here each year since they first joined forces in mid-2012, saying that playing this tournament made the most sense “sportswise.” Each year Mouratoglou had added the tournament to the calendar he made for her, and each year she had removed it to his disappointment—until this one. 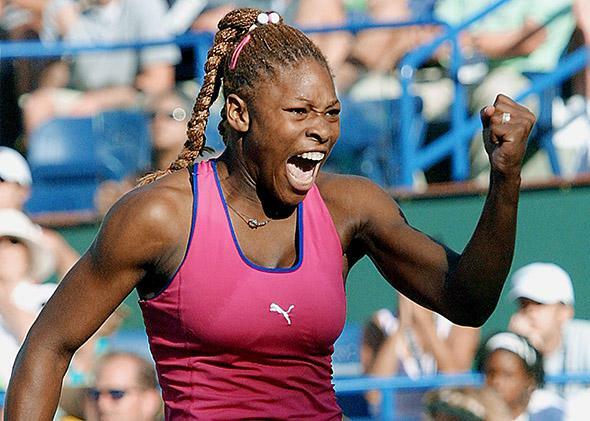 Serena Williams celebrates the next to last point in her final against Kim Clijsters at Indian Wells on March 17, 2001. In front of a sardine-packed room of reporters on Thursday afternoon for her pre-tournament press conference, Williams’ most revealing moments came when she was asked about her family’s thoughts on the return. Despite the grace with which she has handled the entire saga, Williams still has her detractors. The most jarring question in Williams’ pre-tournament press conference came from a reporter who said that “both sides” had made mistakes in 2001. “Just wondering if you feel like you have anything to apologize for,” he asked. Indeed, Williams has carried herself with integrity throughout her time at Indian Wells, both then and now. And she owes nothing to anyone—least of all an apology.